* Total number of reviews and star-ratings are based on data collected during the time period RICKS AUTO MARKETING CENTER SOUTH has been using the ReviewBuzz system and may not directly match the data found on each public review site. These guys are the best that I have ever dealt with. Thanks for the great transaction. The best company to purchase a fleet vehicle hands down! Their company's professionalism stands Above the Rest! Bought a Ford Transit Connect for our Trophy & Awards business. Clean van and although it had 118k miles it runs great. We went ahead and had the 130k service done and the tech said the van is in fantastic shape and was well maintained. When We were at Rick's everyone was very friendly and we had our transaction completed faster than any vehicle I had purchased before, that is over 20 vehicles over the years. I highly recommend if you are looking for a commercial vehicle check out Ricks, it a no brainer. From the moment my wife and I arrived at Ricks Auto, we knew they would be the people we would buy our fleet vehicles from. Their facility is beautiful and they have a large inventory of exceptionally clean vehicles. We drove two trucks that day and both were exactly as advertised on the website. Their no haggle price policy is a refreshing way to buy and Rick has so many years in this business that his ability to secure nice utility vehicles allows him to offer great vehicles at great prices. Dealing with Rick, Kathleen and Will was a pleasure and I highly recommend Ricks Auto Marketing Center South to anyone looking for great used utility vehicles at great prices and professional service both during and after the sale. Our next round of feet vehicles will come from Rick & Company. Rick's was straightforward and easy to deal with. The entire sales staff was excellent and I would definitely highly recommend this dealer. Management and admin know their business well and their product was in great condition and in excellent condition, for a great deal! Friendly, quick and reliable service. Thank you. THEY WENT ABOVE & BEYOND, WILL DEFINATELY USE THEM AGAIN!!! From the first call until the the truck left the lot, the communication and service were spot on. Looking forward to doing more business with Rick's in the future. Very helpful and knowledgeable. They made it very easy to purchase a quality vehicle and even delivered it to my door.. Your operation is well managed. My experience with buying this vehicle went smoother than any other vehicle I purchased in the past. Keep up the good work. This was the easiest, hassle free vehicle purchase I've ever made! Rick, Jack, and Kathleen were very professional and accommodating from emailing responses on a Sunday afternoon to callbacks with answers to the countless questions I had concerning the vehicle. Upon arriving to test drive/ inspect vehicle, preliminary paperwork was all prepared and ready to complete. This team has obviously done this for a long time and are very efficient. As I myself am a business owner that works WITH my customers to complete projects rather than FOR my customers, it was a pleasure to find a company that operates in the same manner. These guys are top notch!!! Everybody here is always polite, courteous and efficient. The vehicle quality is always excellent and the prices are even better. Any time we need to make an addition to the fleet, Rick's is the only place we call! Excellent service, they had the truck that I wanted for my business. Great family, I would recommend them 100%. They make u feel welcome and comfortable. Not to mention the hassle free buying experience. Bought a new work truck that was everything advertised and more in less then 45 minutes. Very satisfied with purchase. Salesperson (Jack) was easy to work with, and handled everything very professionally. RICKS AUTO MARKETING CENTER SOUTH Team . 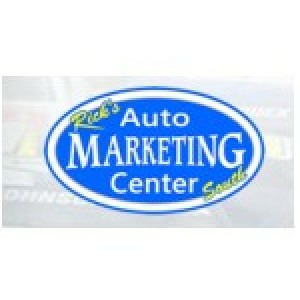 Customer service is always a top priority at RICKS AUTO MARKETING CENTER SOUTH. Our BBB Membership A+ rating is like a badge of honor as we continuously strive to provide the best experience for our clients.